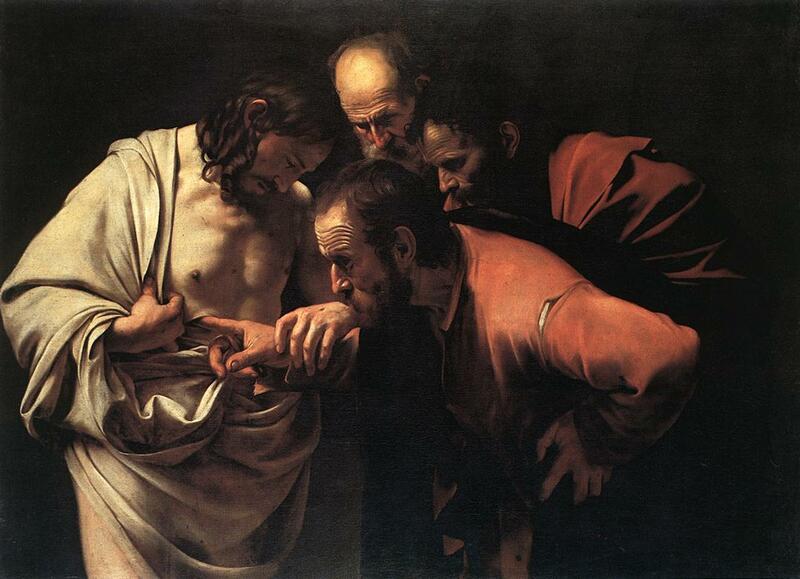 The Incredulity of Saint Thomas. 1601-02. Oil on canvas, 107 x 146 cm. Sanssouci, Potsdam.